8-shot repeater. black barrel and receiver. Hardwood stock. 88-Gram CO2 will provide approx 300 shots. Set up a tin can shooting gallery and go for it! New to the market and still hard to find we are getting these as quick as they come available and they sell out fast! 600 to 700 fps in .177 cal with 90 grams of CO2 you can send many shots down range with constant power. Priced between $180 and $270 depending on model and options. Turn your Sig into a PCP with this handy dandy 3000 psi bottle kit. get the most accuracy when your power is fully regulated. No concerns of temperature changes affecting final velocities. 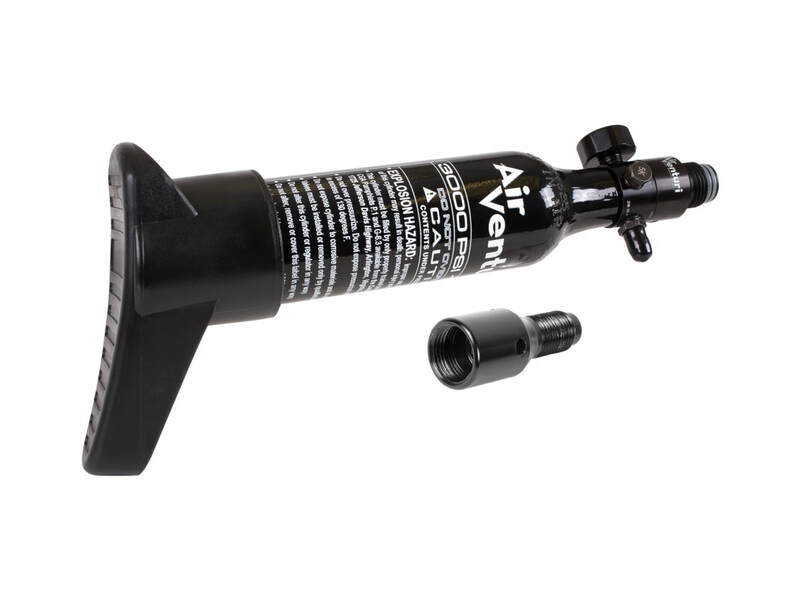 Shoot in the cold, in the heat or anywhere in between with this regulated compressed air supply. This is the original airgun used in the Portable Shooting Range we run for Andrew's Helpful Hands Charity. Styled after the Ruger 10/22 carbine rifle. 12 shot repeater powered by 12 gram CO2 Powerlets. add a scope reflex or red dot sight for a different level of shooting accuracy. If you're looking for a lightweight varmint removal tool, look no further than the Hammerli 850 Magnum and leave the multi-pump airguns behind. With approx 12 fpe the Magnum .22 is a good choice for up to Rabbit sized game. 200 shots per fill, 88-90gr CO2 power. 655 fps in .22 cal. giving you 11.8 fpe. Fiber Optic sights & 11mm dovetail for mounting a scope. Ever have one of those days when you just can't decide what you want or need, well here is a product for you so you don't have to decide! it's a postol and a rifle! just remove a few screws and swap a few parts any you have changed your mind. A great starter for entry level bulls eye target shooting and pest control. Single shot bolt action. Sights are adjustable for peep or open sights. 8 shot repeater powered by 12 gram CO2 powerlets. safety glasses and 2 powerlets included. We will substitute Lead-Free pellets for the ones provided in this kit for use in our range. 8 shot repeater (Single or Double action) powered by 12 gram CO2 powerlets. safety glasses included. We will substitute Lead-Free pellets for the ones provided in this kit for use in our range.